Join us Friday February 8th, 2019 at Number 38 in downtown Denver for the ultimate sampling event for mac & cheese lovers. You'll get to try a huge variety of gourmet, chef-inspired twists on your childhood favorite while enjoying live entertainment, awesome vendors, and more. Be there to try everything for yourself and cast your vote for the best mac in town! The Whiskey Biscuit is an industrial-chic restaurant featuring down-home American eats plus a large selection of whiskey & craft beer. Their chef-driven from scratch menu offers Southern influenced comfort food with a playful, modern twist. Award-winning chef Nathaniel Schoen-Roda is known for his unique flavor combinations and we can't wait to try his mac & cheese! Gypsy Q is a food truck slinging southern style BBQ with Asian inspired items & sides like the Brisket Banh Mi and Kimchi Mac. Originally from Virginia, Chef Nick Shankland has been enjoying the art of BBQ from a young age. A culmination of childhood experiences, professional culinary growth, and passion for low and slow smoked meats led to the concept that is now known as Gypsy Q.
Wally's Wisconsin Tavern is a tribute to the classic Wisconsin lake tavern and Wisconsin native and co-owner James Weimann's father Wally, Wally's Wisconsin Tavern features a menu of comfort foot favorites including a delicious mac & cheese! Whether or not you grew up in Wisconsin or another fine Midwestern state, you should feel right at home. Sugarfire Smokehouse brings an edgy and original take on low and slow cooking. They offer a menu that complements the staples influenced by the holy trinity of barbecue (St Louis/KC, Memphis, Texas) with daily specials crafted by their world-class executive chef Clint Whittemore. Get ready to try a mac & cheese that is out of this world! Swanky's - located in the heart of LoDo, Swanky's boasts a large menu catering to the "Wisconsin diet" - we know what that means! All the delicious cheese you could ask for! Freshcraft - With chef Peter Wertz leading the charge, the team at Freshcraft brings in fresh ingredients, and makes nearly everything from scratch. Their food offers an innovative take on comfort foods with a few unique twists thrown in. 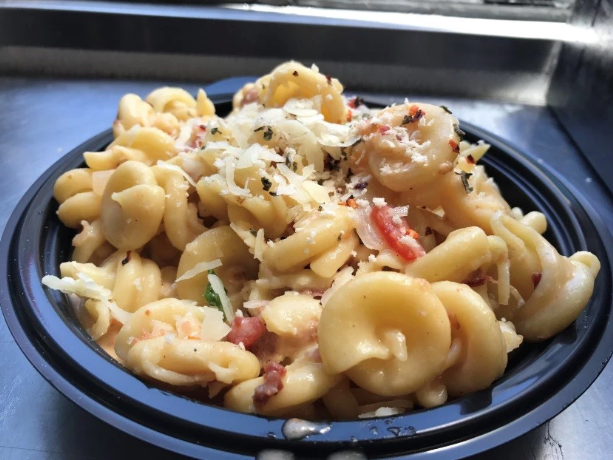 There’s something on the menu for everyone, and we hear their mac and cheese is legendary! Shanty Supper Club - Tim Doherty, owner of Syrup, is continuing his restaurant success with something new -- a Wisconsin-inspired supper club now open in the great city of Denver. With Wisconsin roots, you know they've just GOT to have a delicious mac & cheese! The Corner Office is the flirty rendezvous where edgy global dishes meet chic creative cocktails in the heart of downtown Denver. Progressive comfort food mixed with international flavors give traditional favorites a fresh twist. We can't wait to see what they bring to the Mac & Cheese Festival! Catering by Design is one of the top catering companies in Denver. They offer creative food and service that is unmatched. We can't wait to see what creative spin they put on mac and cheese! FishSki Provisions provides comfort food with adventurous flavors to inspire bolder living. There is nothing better than a long day fly fishing, running a river, backpacking to a high mountain lake, or skiing fresh powder followed by sharing a wholesome, healthy - usually a little spicy- interesting meal with friends and family. Growler USA is America’s microbrew pub. They celebrate craft beer and good food - cheers to that! And we hear their mac is out of this world! Thistle & Mint is a catering company created by Jared Kendall, a personal chef and small event caterer. His focus is on cuisine that is made of ingredients that are sourced locally from farmers and growers that are located here as well as those that are available naturally in the wild. His menu is only made up of seasonal ingredients that can actually be found in Colorado and the Rocky Mountains. The District is adding a fresh vibe of DELICIOUSNESS to Denver’s Restaurant Row. The District aims to satisfy your cravings by providing the perfect combination of flavors and ambiance. Thirsty Lion’s mission is to create a place where friends and family can come together, celebrate life, and enjoy hand-crafted food, beers & cocktails. 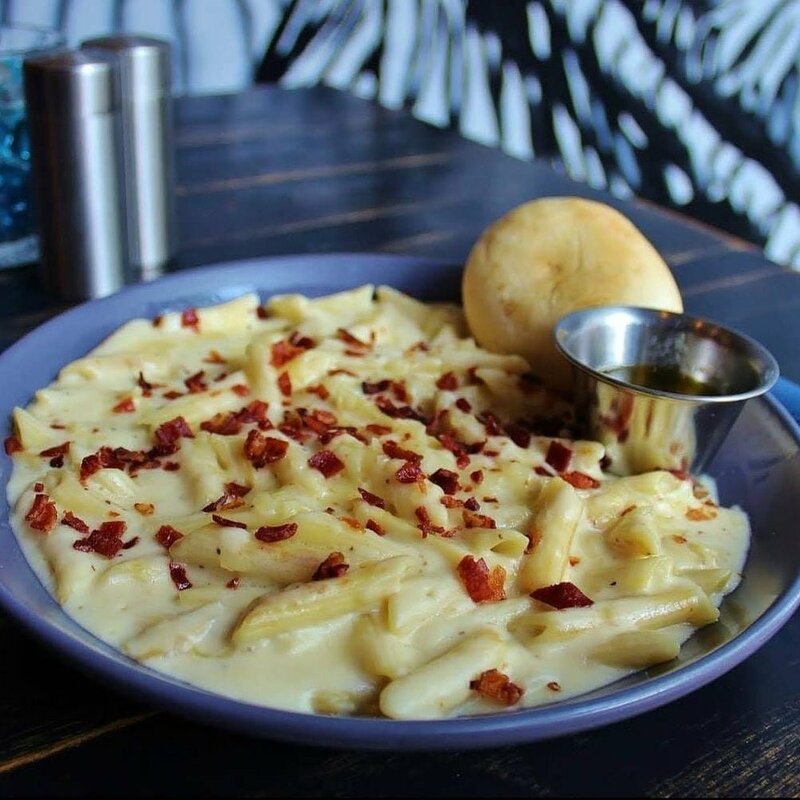 Mac 'N Noodles has been serving up an American comfort food classic to the Denver area since 2016. 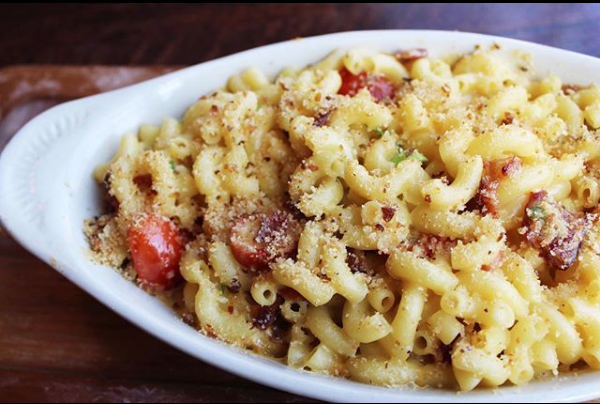 Everybody loves macaroni & cheese, and with a diverse menu of artisan crafted macaroni and cheese, there is surely an entree for every taste at Mac 'N Noodles! Mac Nation Café features signature Mac & Cheese dishes, Breakfast Sandwiches, New York Style Deli Sandwiches, a variety pastries and more good eats. We can’t wait to see which of their creative macs they’ll bring!